Accepta PAC is a high performance; superior quality poly-aluminium chloride (PAC) based coagulant, scientifically formulated for use in a wide range of commercial, municipal, manufacturing and industrial process applications including the treatment of wastewater and industrial effluent. 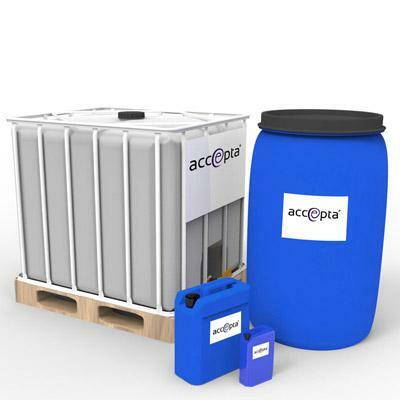 Accepta’s poly-aluminium chloride (PAC) is a highly efficient coagulant with low generation of waste sludge in a wide pH range, even at low temperatures. Accepta PAC is used for several applications including the treatment of drinking water, swimming pool water, wastewater treatment, the treatment of sewage and industrial effluents. It is also used extensively in the pulp and paper processing industry. For further technical assistance concerning dosage rates for Accepta PAC please contact Accepta technical support.